What a visionary lot they were in the sixties. A big pool with diving boards and a proper deep end. A far cry from the politically correct, litigation free puddle we have now. What happy memories I have of this pool. I spent virtually every day during the summer holiday between 1979 and 1984. I started Brougham street Primary school in 1973. My Grandma lived at 4 Brougham Street up unit about 6 years ago. She looked after myself and my brother during the school holidays including holidays whislt at South Craven School, crosshills. I know live in newton Abbot, South Devon but this photo really takes it back for me. 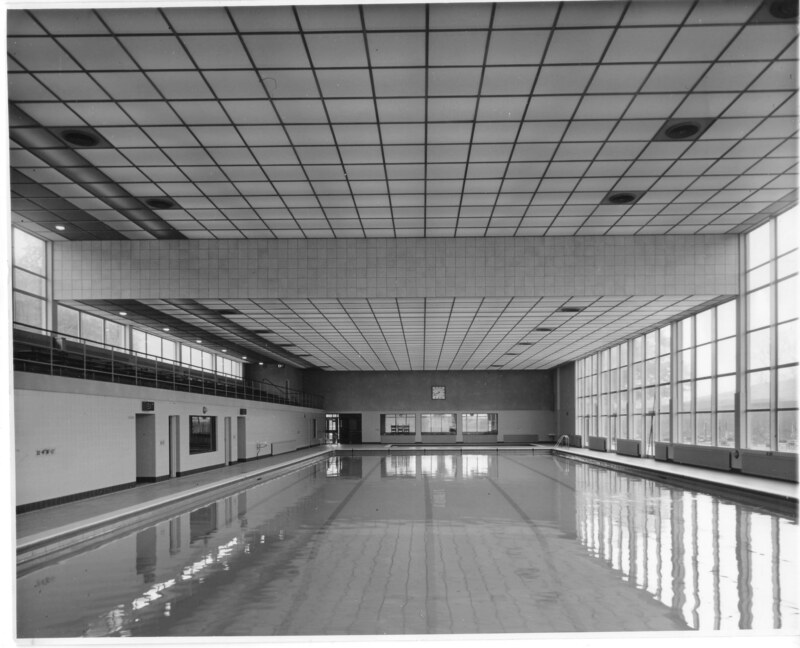 I remember the very high diving board (which i managed to pluck up the courage to dive off a few times and also the spring board which i believe have been taken away due to health and safety executive stepping in to ruin everyones fun. the last time I swam there must be over 25 yars ago now and keep meaning to go and see what its now like. I still have family in Skipton and the surrounding area. I too remember this pool and really enjoyed swimming there. But the changing rooms compared to our new pool! They always seemed cold and draughty whatever the time of year.